Detailed Description: Red Dot Type T conduit body has a hub size of 1-1/2 inches and is made of die-cast aluminum for high durability. It has threaded connection and smooth throats for convenient wire pulling. It has capacity of 32 cubic inches and comes with retained stainless steel cover screws. Conduit body measures 7-1/4 Inch x 3-17/32 Inch. The spacious, accessible wiring chamber conveniently locates a position to pull conductors and make splices. 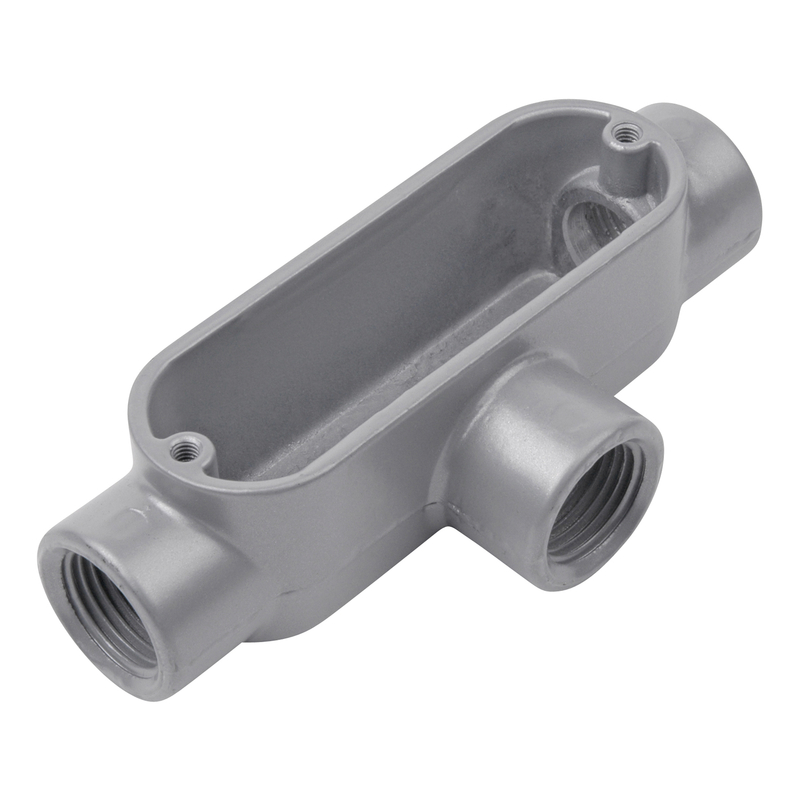 It is suitable for use with rigid/IMC conduit. It can be used with covers and gaskets to maintain a weather resistant conduit system. Conduit body is UL listed and RoHS compliant.